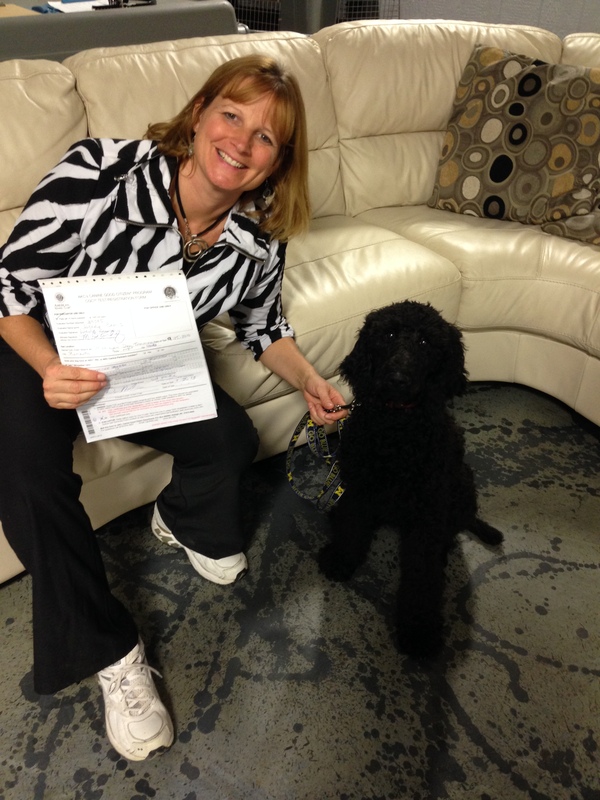 On Wednesday September 25, 2013 all six students and their dogs in the Michigan Dog Training LLC “Canine Good Citizen (CGC)” group dog training class passed the American Kennel Club‘s CGC evaluation. 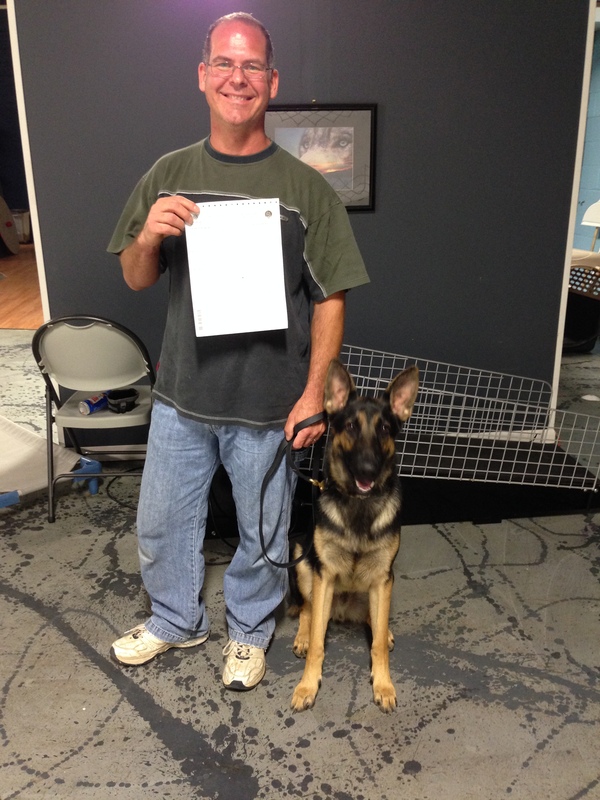 It’s ten step program measures a dog’s skill in obedience training and good manners around other dogs and people. 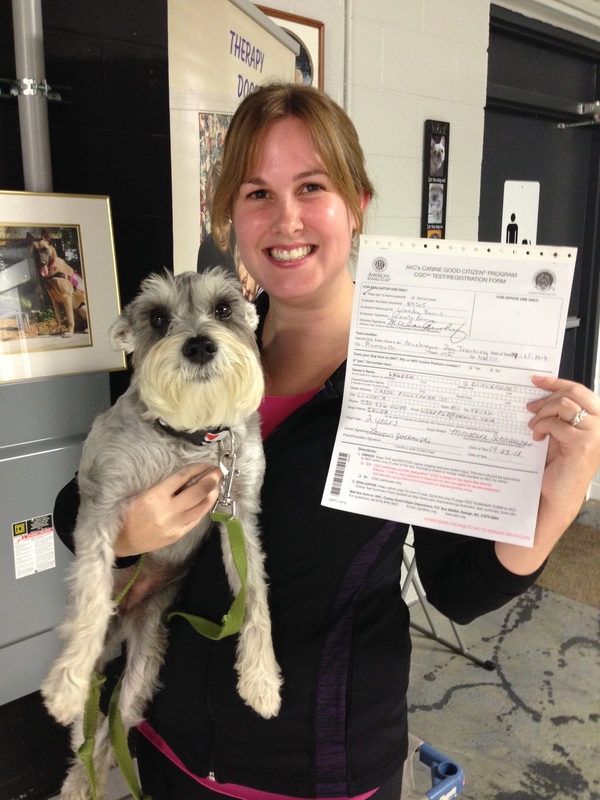 The dogs’ handlers also pledged to be responsible dog owners. 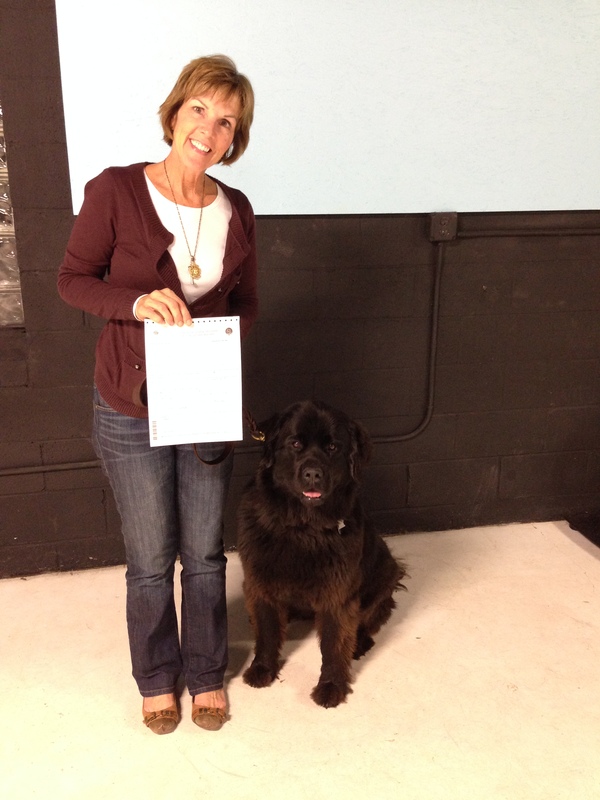 The evaluation was administered by MDT Certified Dog Trainer Wendy Bemis and witness by MDT’s President and Dog Behaviorist Michael Burkey. The dogs were of various breeds and a couple of them were Feisty Fidos at one time, meaning that they didn’t particularly feel safe around other dogs and showed their insecurity by barking and lunging at other dogs. 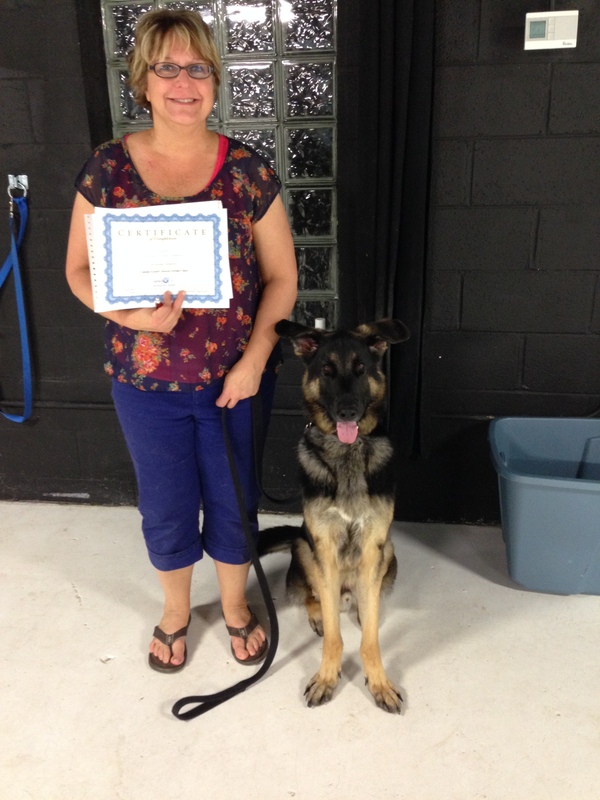 However, through private training lessons at MDT followed by the CGC class, their confidence grew enabling them to become good canine citizens. The next set of group classes start the week of October 21, 2013. 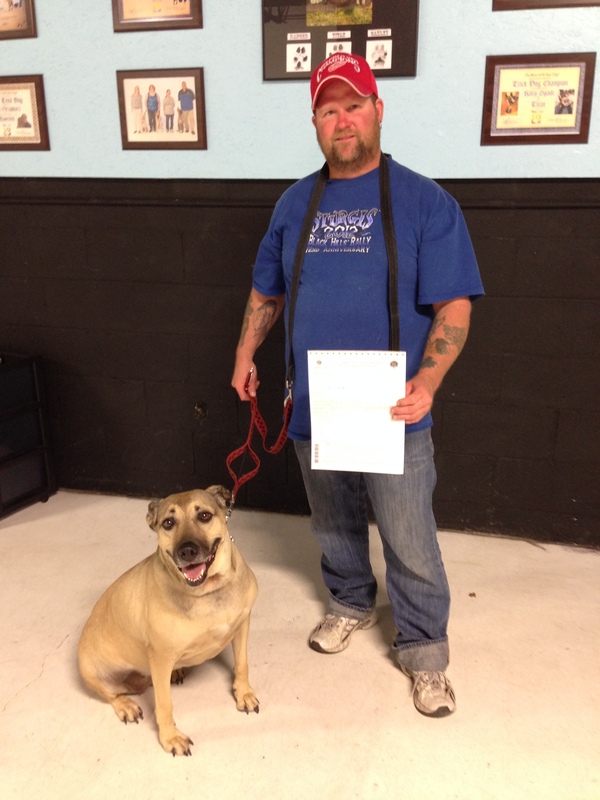 For more information, visit Michigan Dog Training or call 734-634-4152. MDT also offers a wide variety of group classes and private training services. This entry was posted in CGC Stars, Dog Class Start Dates, Uncategorized and tagged American Kennel Club, Belleville, Canine Good Citizen, Canton, Certified Dog Trainer, CGC, dog, dog behaviorist, dog trainer, Garden City, German Shepherd, Michigan, Michigan Dog Training, Miniature Poodle, Newfoundland, Plymouth, Plymouth Michigan, Southern Blackmouth Cur, Standard Poodle. Bookmark the permalink.